Is The American Dream of home ownership becoming just a dream? I about came unglued when I read Gray Development CEO Brian Kearney’s statement, “owning a home is no longer the American Dream.” One can only classify this statement as reckless, potentially dangerous in regards to Scottsdale’s future and indicative of a “drive-by” developer. This type of irresponsible comment shows the level to which these apartment developers will stoop in order to make a fast buck at our expense. If Kearney truly believes those who can afford high-end rental apartments are there for the long haul and not interested in investing their hard-earned money in future real estate ownership, then he is short sighted at best. I will give him the benefit of the doubt and say he really does know better, but that wouldn’t help his bottom line. I wonder if the majority of those seeking high-end apartments would be doing so only because they were upside down in their loan and lost their home, or “snow birds” looking for a 4-month rental. Unfortunately, it goes much deeper than a developer making self-serving comments. A majority on the Scottsdale City Council are drinking the Kool-Aid. It should come as no surprise the city manager in Scottsdale and his planning department have never met a developer or high rise rental apartment project they didn’t like. The words "forward thinking, high end, iconic, LEED certified, sustainable, highly desirable and smart growth" are unabashedly interchanged with each new project coming before the city council. What totally flabbergasts me is how the mayor and council members can sit there with a straight face and act as though this is new, exciting and has the approval of all the neighbors who will be affected. It’s enough to make a grown person cry! With continued approval of these rental projects by a misguided city council, the residents of Scottsdale will be the ones left holding the bag. The truth can be found in Kearney’s own words: “The money is there for quality locations like downtown Scottsdale.” Sounds to me he is more interested in his “take” from the lender than the future well being of the city. If this is how mortgage lenders and investors are looking at our future growth – then prepare for a double whammy coming down the pike. When the economy eventually turns around, what we could face is the dilemma of Section 8 housing all along the Scottsdale corridor and downtown. I am fully aware, as is the National Association of Realtors, that home ownership is under assault in this country and, by the looks of it, has already taken root in Scottsdale. The Scottsdale City Council needs to shape up and stop being pawns in the developer’s pie-in-the-sky “hit and run” projects. Of course the council may be of like mind, which unfortunately seems to be the case. In the past year they have approved projects with over 6,500 units. I would not be surprised if it passed 10,000 units by year’s end. Regrettably, most-favored, fair-haired zoning attorney John Berry is no longer alone in his quest to make sure the residents of Carefree and Cave Creek will be able to enjoy high rise corridor views when looking south toward Scottsdale. There is more business out there than he can handle. Scottsdale city manager Dave Richert has opened the flood gates by declaring Scottsdale developer friendly and open for business. He should have added the word “monkey” in front of the word business. How else can private land owners like Zocallo, Crackerjax, Lincoln Plaza and 777 Plaza all decide to rezone from commercial to apartments in just the last 8 months? And the trend is heading North, with the unpopular Reatta Ranch on Dynamite Blvd. Should this national agenda to destroy the housing market and Scottsdale’s misguided city council succeed, you can kiss any chance of a resurgent economy goodbye. I can’t believe any rational-thinking citizens would give credence to the idea that the American Dream of home ownership was just a dream and no longer viable. God help us if they do. 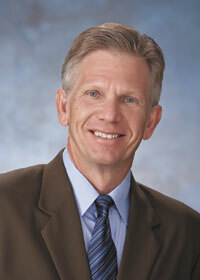 Guy Phillips is the owner of Budget Mechanical and a candidate for Scottsdale City Council.